The ProtoStar I satellite was built by Space Systems/Loral (SS/L) as the ChinaSat-8 satellite. On January 5, 2007 SS/L announced the satellite, which had been in storage, would be modified to meet ProtoStar's requirements. The satellite has had multiple names since launch: Protostar 1, Chinasat 8, Zhongxing 8 and Intelsat 25. Original ProtoStar-1 satellite beam coverage pattern from 98.5 E orbit position. Following the sale of ProtoStar I in bankruptcy auction, October 29, 2009, and the completion of the sale to Intelsat for $210M, the satellite was re-named Intelsat 25. 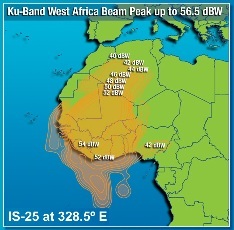 Intelsat 25 will serve for African market at 31.5 West orbital location. 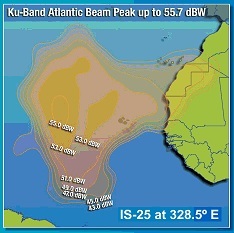 INTELSAT 25 has 36 high power C-band transponders and 16 Ku-Band transponders.